Each pack contains 500 sleeves. Priced at £7.50 per pack. 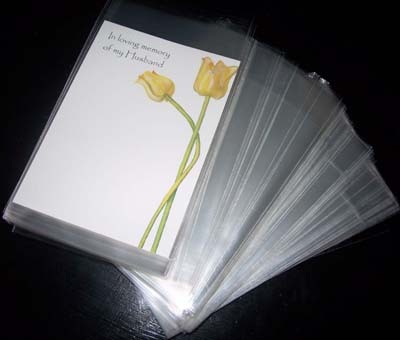 Each pack contains 500 White Envelopes. Priced at £8.90 per pack. Priced at £1.00 per pack. Click here or on card image to enter this section. 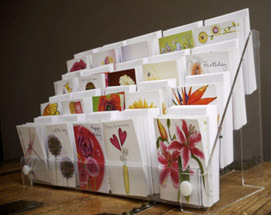 A beautiful range of Folding Florist Gift cards. Original art work using inks and watercolours. Priced at £3.40 per pack.